Located in front of the Madre Ceiba gardens, and under the old aqueduct from the XVIII century. 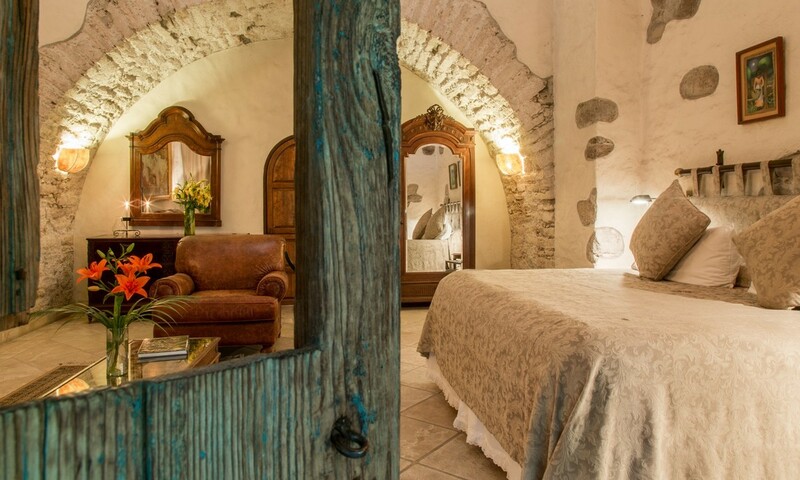 This elegant and comfortable suite comes with a king size bed and a small sitting room with ultra comfortable leather couches and a majestic bathroom with a jacuzzi and, wait for it... a skylight. This suite is the twin sister of Mandarino, altho it has its own personality and style. Its decorated with furniture and works of art proper of a collector. 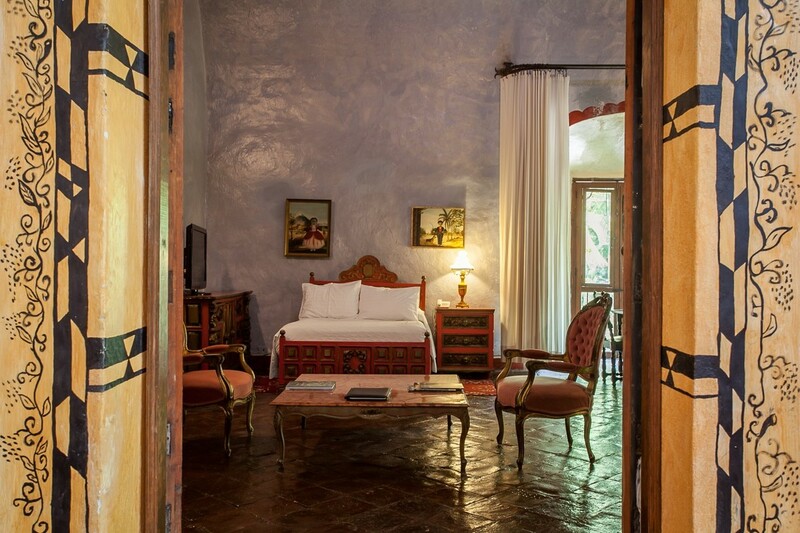 Located in the Salon Rojo, the room where the most important works of art and antique furniture is in the Hacienda, in this suite you will enjoy from a privileged view of our extensive gardens. 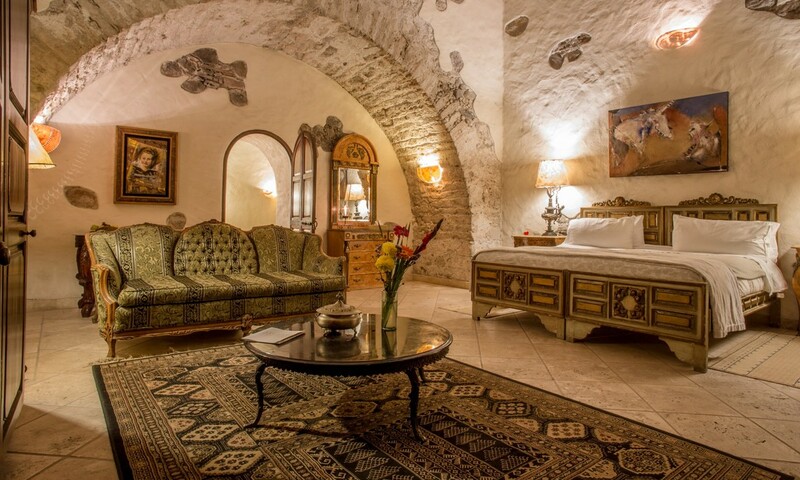 Two full beds and an elegant bathroom with jacuzzi, this junior suite will take you back to the past. Also in the Salon Rojo. This sumptuous room belonged to the hacendado grandmother. 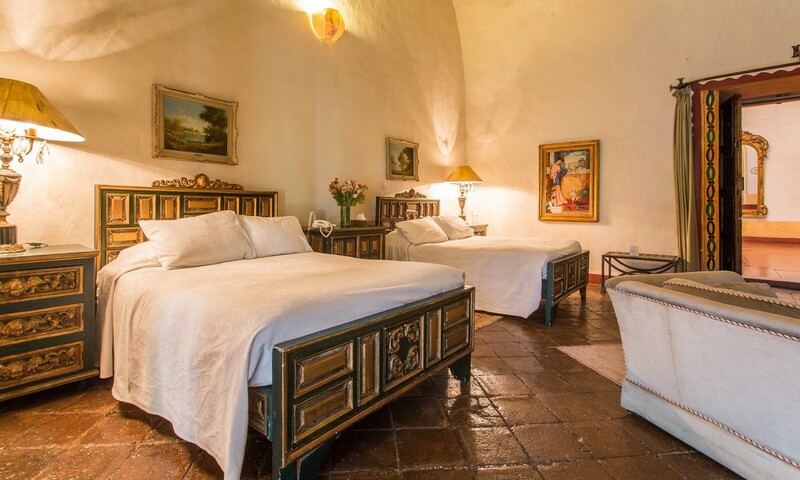 Comes with two full beds, bath with a tub and an spectacular view of the luscious Hacienda gardens. Comes with tow double beds and bathroom with jacuzzi. 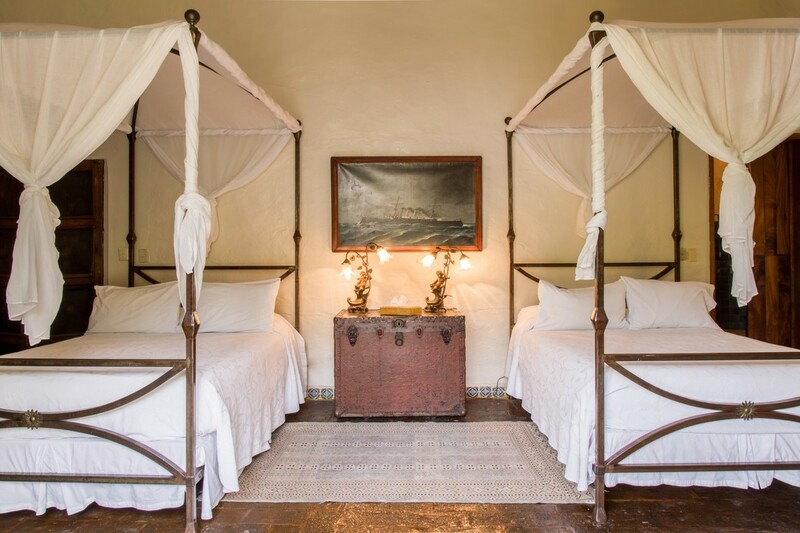 From its colonial veranda you will be able to appreciate the view to the “El Romance” garden grounds.